The Neurological Rehabilitation Group, in it’s 30th year as of November, is Melbourne’s longest running private Neurological Physiotherapy Practice caring for clients in every part of the community. The Neurological Rehabilitation Group has established and maintained its-self as a key practice for the assessment and management of neurological and vestibular conditions. A group of highly skilled physiotherapists each with additional focused areas of clinical expertise, an exercise physiologist and several physio assistants make up our treating team. Our team pride themselves on their collective thinking and inclusive environment, not only working with each other, but together with patients and their families. There are many different forms of neurological injury, pathology and presentations and therefore many opportunities for the team at The Neurological Rehabilitation Group to help you understand your condition, set goals to improve and optimize your function. It is important to us that our patients feel listened to, feel safe and supported in professional hands. We recognise that no two patients are the same. Our patients come from different backgrounds, with different starting points and varied goals and expectations about their treatment options. Understanding this is at the centre of our approach and therefore providing a treatment plan tailored to the individual is our goal. What is patient focused treatment? Patient focused treatment starts with listening. Our patients share with us their personal story, their aspirations and frustrations and we listen. Patient focused treatment is not simply doing what we think is right for our patients but understanding what is important to them and only them. It is in listening and understanding who a person is, and what drives them that enables us to develop a program that acknowledges our patients aspirations and empowers them to be the best that they can be. Many hands make light work; sometimes patients can find it particularly hard to move whether it be sitting, standing, walking or using their arm. We are able to provide two sets of hands in the form of a physio assistant or two Physiotherapists when required for more complex conditions. We work as a collaborative team to deliver the best for our patients. Neurological presentations can be complex and we don’t expect one person to have all the answers. 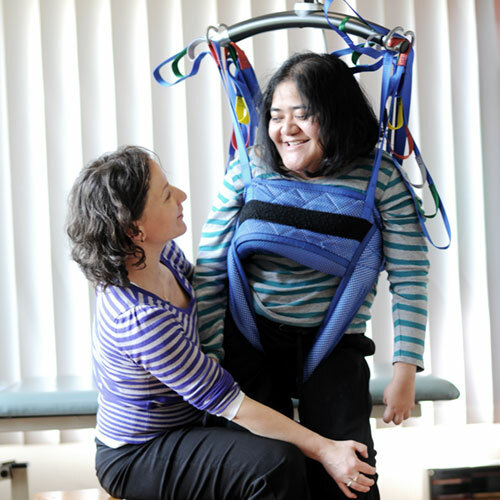 With over 50 years of collective experience our patients have access not only to their treating Physiotherapist but the collective minds of the whole team at Neurological Rehabilitation Group. Staff development is a huge priority at the Neurological Rehabilitation Group. We are lucky enough to have Dr Susie Morris on the team whose job is to mentor and monitor staff development. 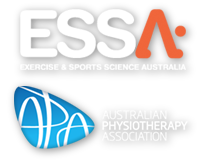 Susie has over 25 years clinical experience and has completed a Masters in physiotherapy, a postgraduate diploma in research methods and in 2006 finished her Clinical Doctorate at La Trobe University. Susie’s role is to carry out joint treatments, oversee individual yearly objectives set by clinical staff and schedule the in-service program.